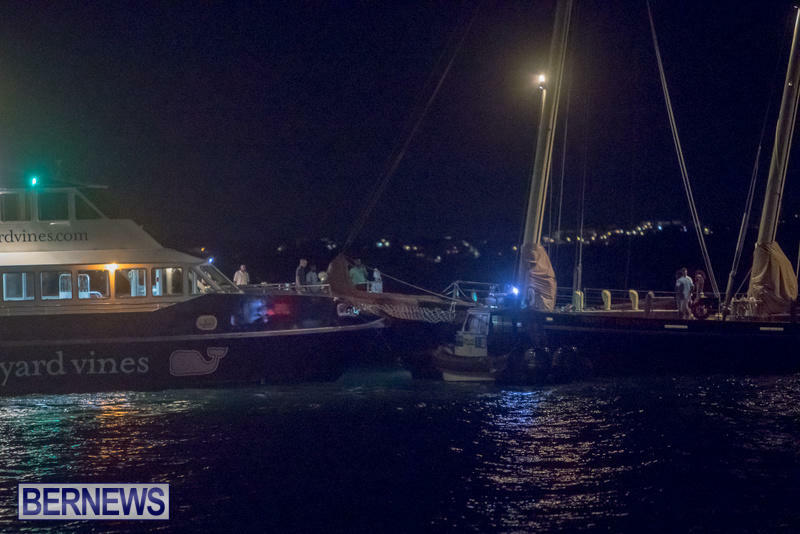 [Updated] A police boat is on scene just off the North Arm in Dockyard tonight [Sept 8] where it appears an incident has occurred. There are a few other vessels in the waters nearby including Spirit Of Bermuda, a Government fast ferry, and a couple other vessels. 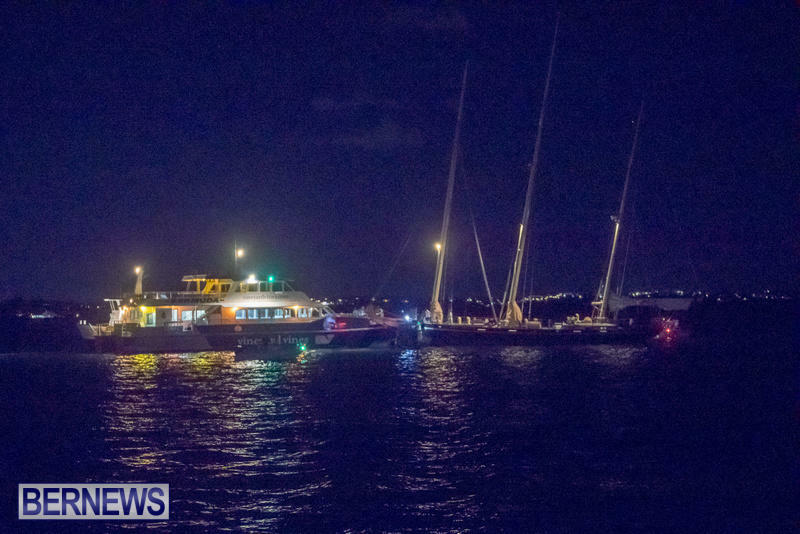 Initial information from bystanders indicates a collision may have occurred between Spirit Of Bermuda and the fast ferry. A police land unit was also on scene at the dock. Details are limited at this time, however we will update as able. 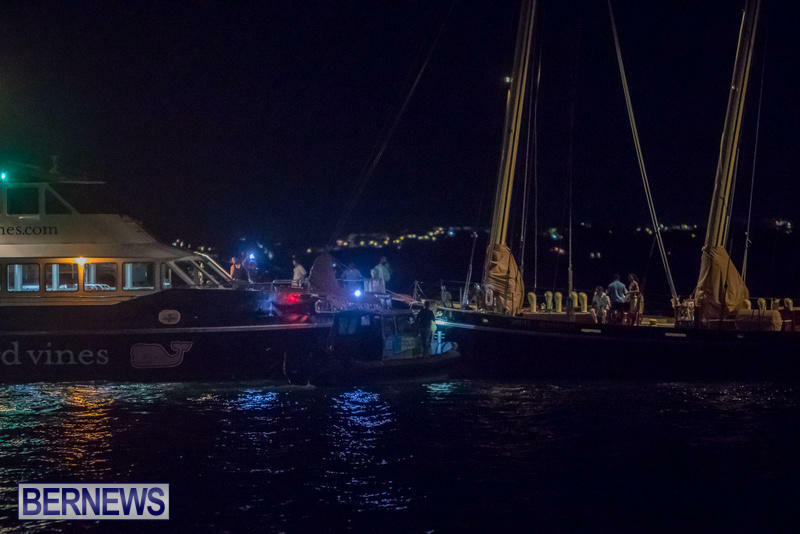 Update 12.34am, Sept 9: A police spokesperson said, “Marine police responded to a reported maritime collision Friday night [September 8th] involving the sailing vessel ‘Spirit of Bermuda’ and the Government ferry ‘Resolute’ in waters near Dockyard. “There are no reported injuries at this time and the extent of any damage to either vessel is currently unclear. 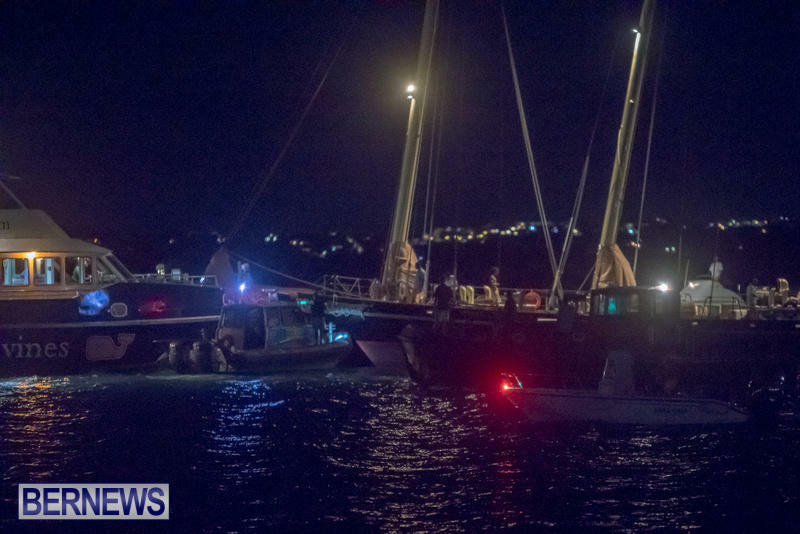 “Civilian watercraft came to the assistance of both vessels involved, transporting passengers safely ashore. Well if a US battle ship colided with a cargo ship, this is no news. Another party on the ferry? They don’t do “booze cruises” on Spirit. Spirits’ cocktail parties are just booze cruises for the well-heeled. Now let’s see if they do the hint thing here. Sober or not this accident is unacceptable. You know what to do, don’t let Furbert protect the captain like he does all his puppets. The captain (s) at fault will probably get a promotion! poor form @John Joseph …..the skillset of the RBR is often far greater than that of the BPS as the BPS officers perform a secondary function in the waterborne patrol route whereas the RBR are often professionals in their own right in their full time jobs when they are ‘volunteering’ for the Bermuda public…. Ummm JJ you better check yourself and your facts. The RBR Boat Troop has a tad bit more qualifications and experience than “our Professional Marine Police” compare how many Master Captain’s Licenses and qualified Coxswains exist in both units? Yea rite ask your so-called professional marine cops …..what’s de draft on the boat their driving…. It only has three masts, I didn’t see it officer! Inexcusable. Professional Mariners ?? Glad that no one was injured. Heads must roll. Sacre Bleu! Say it is not so! Who would have thought being Resolute would break your Spirit?